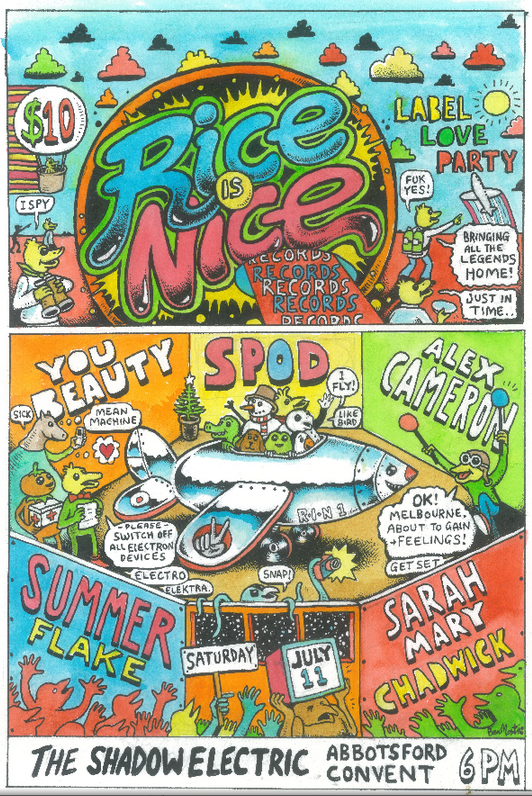 Rice Is Nice will be hosting a killer label party at Melbourne's Shadow Electric on Saturday July 11 featuring a number of exciting acts. This includes You Beauty, SPOD, Alex Cameron, Summer Flake and Sarah Mary Chadwick. 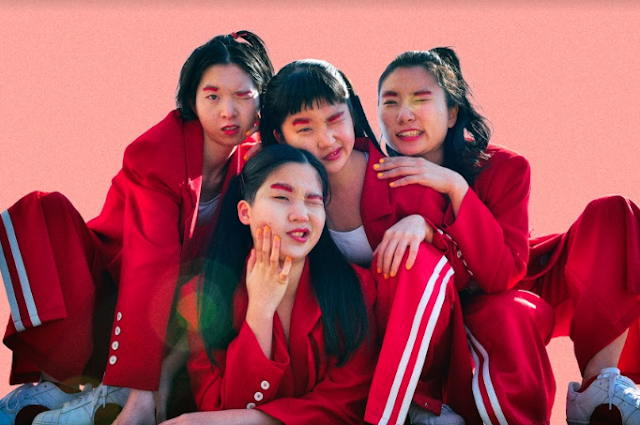 Tickets to the event are $10 and the night kicks off at 6pm. 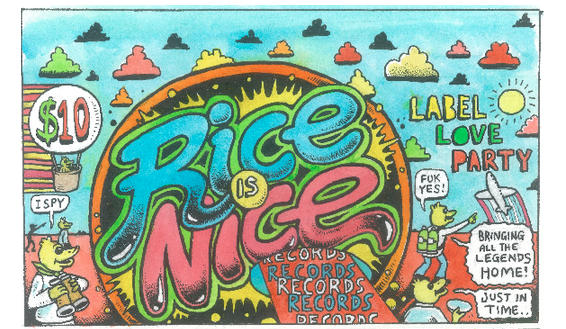 To get you prepped up and ready to party, Rice Is Nice have put together a mixtape featuring the sounds you might hear on the night. Listen to it below. Buy tickets to the party via the link and visit the event's Facebook page for more info.